Hi! 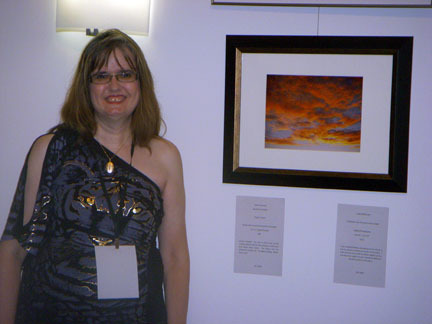 I'm Linda Bennett, and I live in Oro Valley, Arizona, north of Tucson. I like to do artwork, photography, graphic design work, and acting and singing in church in musicals and plays. This is where you can view some of my work. I've been taking photographs my whole life, and I started drawing in the 80s. 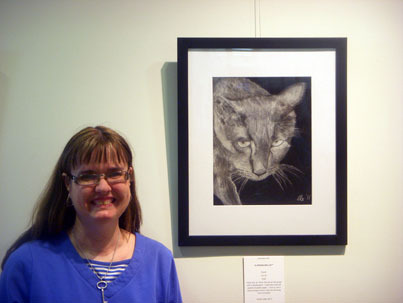 I use pastel, charcoal, and pencil for my drawings. My photographs were taken with a manual and two digital Nikon cameras. I've just started painting in oil also. I would be happy to answer any questions you may have regarding my artwork, just e-mail me. You might like to visit SAACA's website (Southen Arizona Arts & Cultural Alliance) for more art information: www.saaca.org. Thank you! It's called "A Prowling Cat." Here's a musical I was in at church in 2008 - Malice in the Palace: The Story of Esther. I played a harem girl, and I made this short video of that scene with us acting and singing the song "Beauty Secrets." Click on the photo to see a music video I made of my Mom. 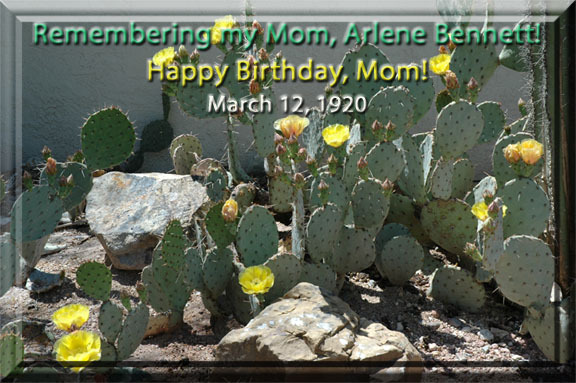 I want to remember my Mom, Arlene Bennett, on what would have been her 92nd birthday, March 12, 2012! Last updated May 28, 2017. 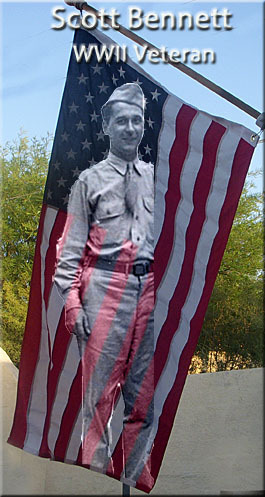 Website design, graphics, photos, and artwork are by and the property of Linda Bennett. Images are not allowed to be displayed in any form on other web sites or on the web in general without permission from Linda Bennett.